Beautifully clean, safe and uncrowded. Fed by the Atlantic and Indian Oceans in some of the most beautiful parts of the Western Cape. And – best of all – totally free to use. You might not be able to top up a pool this summer, but you can cool off in the tidal pools around Cape Town and the Western Cape. 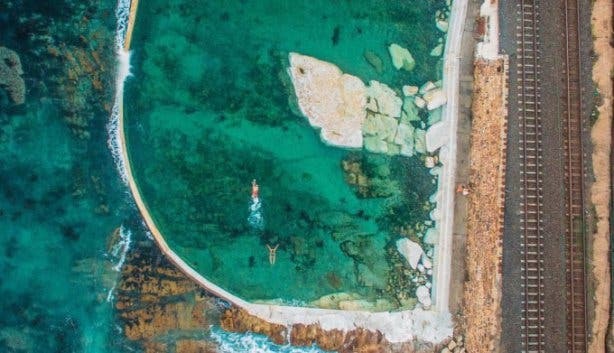 We give a new perspective on all your favourite Cape Town tidal pools, from Dalebrook and Wooley’s to Kommetjie and all the way to Camp’s Bay. First, though, we take a look at a few special, hidden or lesser-known tidal pools you might not have heard of, but should definitely check out this summer. Silwerstroom Holiday Resort, located along the R27, is a haven for those who live on the West Coast – or simply like to venture out there for the scenery and serenity. The tidal pool has a gradual slope, making it perfect for kids, and because the water in tidal pools is always warmer than the sea, they can play in it for longer. The beach at Silwerstroom is marked as a blue-flag one and always has lifeguards on duty too. One of those hidden spots, favoured by False Bay locals, Miller’s Point, just past Simon’s Town is a haven for families. 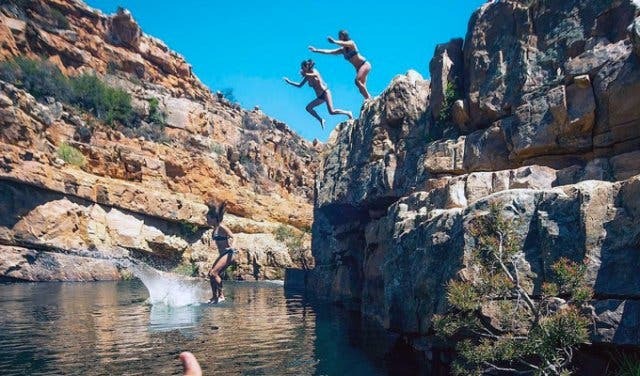 From braai spots and rock pools to biking and hiking trails, there’s so much to explore here. And Miller’s Point tidal pool is unique in that it has a slide going into the pool – fun for the kids. 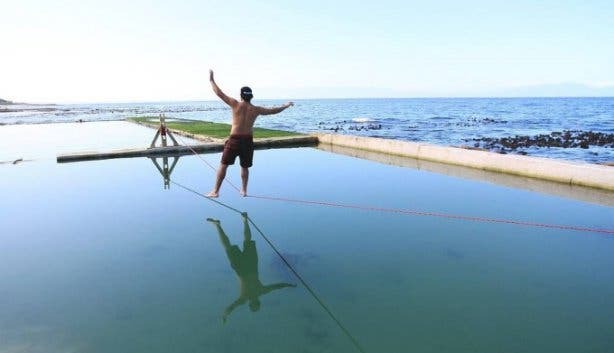 Located off Baden Powell Drive in Khayelitsha, Monwabisi (meaning ‘bringing joy’ in Xhosa) is the largest man-made tidal pool in the southern hemisphere. There are paddling pools that are safe for the little ones to play in. On Boxing Day (26 December, officially Day of Goodwill) and New Year’s Day, the area gets packed, so if you’re not a fan of crowds this might be two days you opt to stay away from this pool. Ever been past Slangkop Lighthouse near Kommetjie and thought it would be cool to see it up close? You should, because Soetwater tidal pool is a stone’s throw from the iconic lighthouse and is suitable for all ages to enjoy. Just off the tidal pool lays a kelp forest and various famous fishing spots. There is plenty of parking and it is usually pretty quiet at the tidal pool – depending on how hot the day is, of course. Maiden’s Cove in Camps Bay/Clifton actually boasts two tidal pools; both of which offer stunning views and a safe and clean environment to enjoy. Both also allow guests to braai and picnic nearby. Maiden’s Cove is not the only tidal pool between Bakoven and the V&A Waterfront. In fact, there are five: Camps Bay, Maiden’s Cove one and two, Milton and Saunders’ Rock. 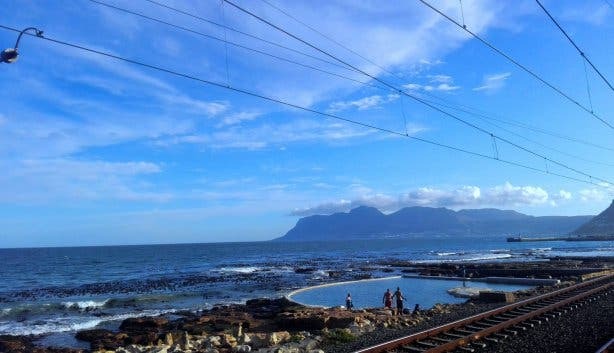 People flock to these tidal pools as they are all located so conveniently close to the restaurants, bars and cafés along Victoria Road. The Kalk Bay tidal pool has the added bonus of being located right next to a restaurant and bar. Adults can enjoy a meal in the sunshine while the kids splash in the smaller tidal pool. There are two pools of different depths. Kids can enjoy both pools, but supervision is advised if they are in the deeper pool. This secluded pool is the perfect place to relax in stunning scenery. The cliffs of Cape Point are viewable from the pool, and visitors can enjoy the serenity of being by the ocean. To get to Buffels Bay tidal pool, you do need to pay entrance to the Cape Point National Park, which keeps most of the crowds away. 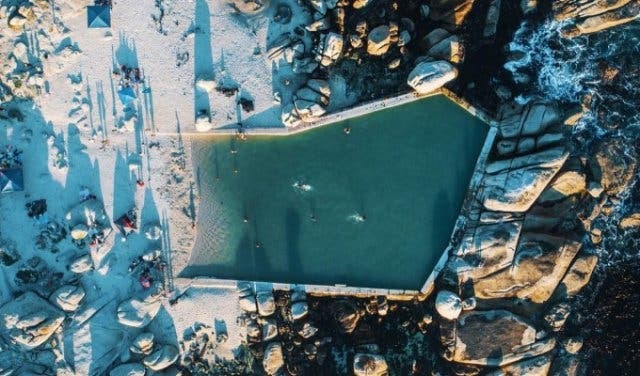 The Dalebrook pool, opposite the Kalk Bay Community Centre, is one of the more well-known tidal pools in the greater Cape Town area. Residents of Kalk Bay and surrounding areas enjoy plunging in the salt water on hot days. This spot is a great stop-off for cooling down on a walk between Kalk Bay and Muizenberg, or to just relax and watch the world go by. The pool is shallow, warm and is cleaned by the municipality once a month. Just off Clarence Drive between Gordon’s Bay and Rooi Els, Sparks Bay resort sits as a coastal haven for travellers and leisure-seekers. You do need to pay to get in, but the resort boasts picnic spots and braai areas, plus a place to camp if that takes your fancy. The tidal pool offers fantastic whale watching opportunities during whale season (June to November). One of the smaller and more hidden False Bay tidal pools, Wooley’s is situated on the bend as you exit Kalk Bay (past the harbour) on your way to Clovelly. There is a larger pool and a small splash pool for the little ones. And they give you spectacular views of Fish Hoek. 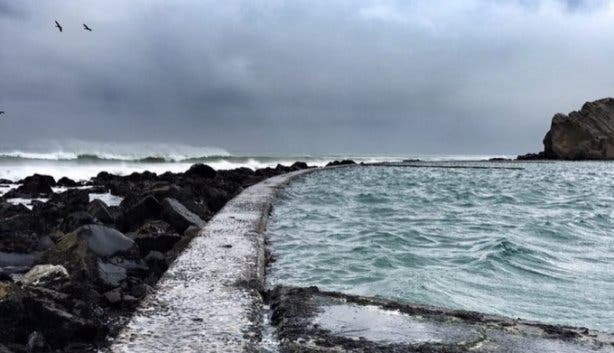 Close enough that it is easy to head out there for an afternoon splash and far enough to feel like you’re leaving the city, the seaside town of Strand even sports its own tidal pool. The Harmony Park tidal pool has lifeguards on duty at certain times and can be enjoyed by all ages. You’ll find various small marine life in the pool like tiny fish that get washed in and out. There is also a kiosk nearby for snacks and boats are available for hire. 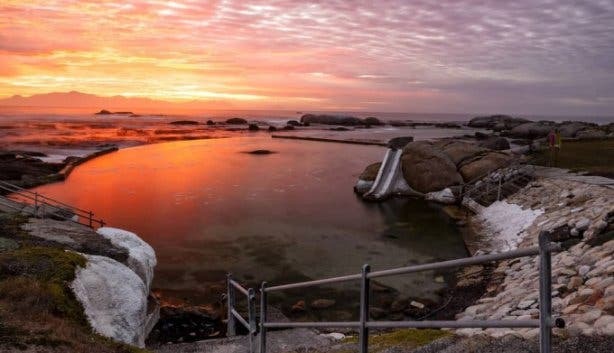 Just a little further down from the main beach at Glencairn, and easily accessible from the railway station, Glencairn tidal pool is one of the larger pools in False Bay. It’s big enough to come and practice your snorkelling. And it tends to be less busy during the height of the holiday season. 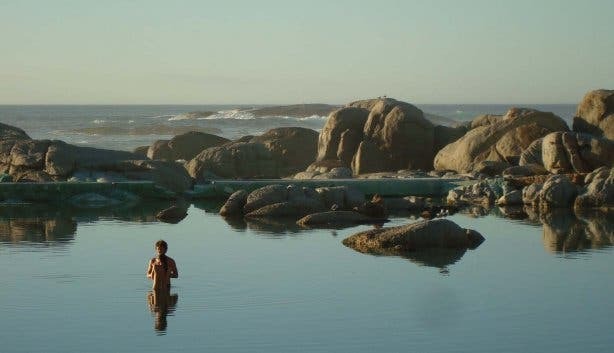 Discover more special and hidden spots with our look at natural rock pools in the Western Cape. Swim more at these public swimming pools and big commercial pools that are open in summer. Plus: Explore all of Cape Town’s beaches and get a few ideas of things to do on your summer holiday.